Locating the ‘art’ part of an artwork, or of an artist’s body of work as a whole, is not as blindingly obvious as it might seem. It is not the same as a direct experiencing of the sensual features of the physical material, although many people think it is. The ‘art of art’, the ‘art part’ of an artwork – if it exists in an object at all – is to be experienced in a different ‘realm’, or through a different order of perception, from that of the straightforwardly aesthetic, or the directly sensual. Enjoying the sensual features of an object is not enjoying the art, it is enjoying the ‘aesthetics’. This is not to pass judgement on those who want to concentrate solely on the aesthetics of creative crafting – that is, on the creativity involved, the technical skill, the colours, and the shapes – but merely to point out that ‘art’ is offering a completely different type of experience from mere sensual enjoyment, no matter how refined and educated that enjoyment might be. In popular culture, ‘art’ means ‘creative crafting’. Any presentational object that has a bit of flair to it, is thought of as art. The continuum stretches from knick-knacks about the house, to classical oil paintings in museums. It’s all ‘art’. And everyone feels entitled, on the basis of an innate aesthetic sense – meaning an innate ability to discriminate between things which ‘look nice’ and things which don’t – not only to engage with anything which is presented as art, but also to pass judgement on its value, in terms of its attractiveness. This innate aesthetic sensibility can of course be refined, and educated, and cultivated – hence the difference between an ‘art expert’ and a mere ‘art lover’ – but the sensibility itself is common to us all. But ‘looking nice’ is one thing, and ‘art proper’ is another. We also all have the ability to share mental perspectives, and frames of mind, and takes on life. We do this every day when we talk to other people, or watch shows on television; we connect with other minds, and try to see the world through their eyes. Art proper is a particular kind of mental sharing, based in theatrical principles; the artist creates and presents works which they hope will act as entry points to the perspective that they want to share: this is the real ‘art’ of art. What modern art has done is introduce the idea of theatrical narrative into artforms other than pure theatre or film. It has introduced it primarily into the visual arts, but also into music and literature. It has done this by shifting the focus away from classical aesthetics, and onto the symbolic potential of objects, such that this symbolic potential can be orchestrated to create an experiential realm of its own. This is a grand way of saying that art objects become symbols of an experiential realm, rather than aesthetic ends-in-themselves, to be judged for their beauty or otherwise. But artistic symbolism of the kind we are talking about here is not a matter of ‘decoding’, or working out some simple corresponding meaning, it is about picking up on the experiential realm that the object is pointing to; and then being able to, as it were, taking it on in one’s imagination. This may sound very subtle and complicated, but it is not. It is exactly the same as seeing an object about the house that reminds you of someone else, and then entering, briefly, through a sort of instant mental congruence, into the world of that person. We do this kind of thing all the time, and what modern art does is formalise the elements of this kind of ‘invitation to congruence’ and organise them into a deliberate event, such that people can share it as something like a theatrical experience. How does this work in practice ? When you see an artwork by, say, Joseph Beuys, you might be, as many people are, predisposed to assess it aesthetically, in terms of its physical features; but in doing so you are failing to pick up on the fact that the ‘art’ Beuys is presenting to you lies elsewhere, and has nothing much to do with the aesthetics. 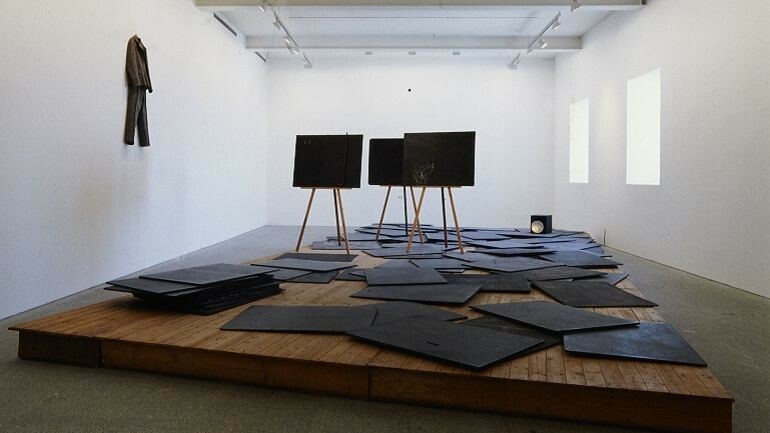 What Beuys is inviting you to do is join him in his ‘world’ – his theatrically constructed realm of narrative – and to the extent that you are able to do this, you are able to grasp his art. How do you do this ? How do you join Beuys in his world ? There is no set method, short of informing oneself about all aspects of his work, and letting an overall sense of ‘Beuys-ness’ cohere and begin to emerge as the underlying platform from which you approach his work; and not as objects of aesthetic interest, but rather objects which furnish a distinctive landscape of his making. 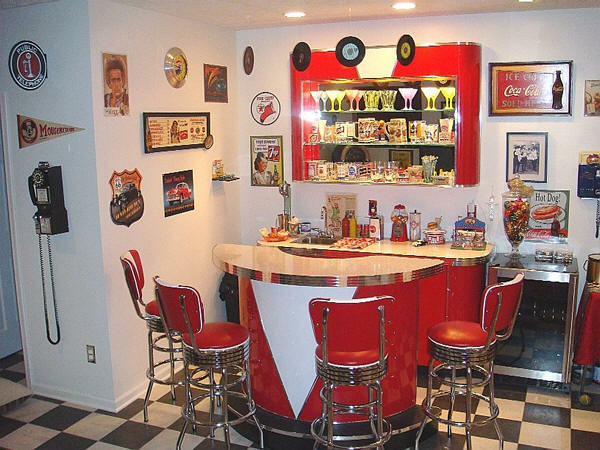 There are people who, for example, decorate their houses in certain very distinctive retro styles – say 1950s American, or traditional Japanese – and to the extent that they create a noticeably distinctive lived environment, it is impossible to think of the individuals without thinking of the ‘distinctively decorated world’ that they have created. And if you were to see, in another context, an item of furniture or decoration which would fit in with one or other of these retro homes, it would be impossible not to ‘connect’ mentally with the homes themselves, in some sort of imaginative congruence. This is an everyday phenomenon – we do it all the time – and the difference with art is that the artist is not inviting you into something as simple and familiar as a decorated home, but rather into an entire experiential realm, unique to them. The important thing in all this is to grasp that it is the experiential realm which is the ‘art’, not the art object which point to that realm. Beuys’s art is the ‘Beuys world’, not the aesthetic features of his many and various art objects. He is offering art lovers, through the presentation of his artworks and his performances, a means whereby we can share with him an entire mindset; and a mindset so far removed from anything that we might encounter in everyday life as to be worthy of our artistic attention.